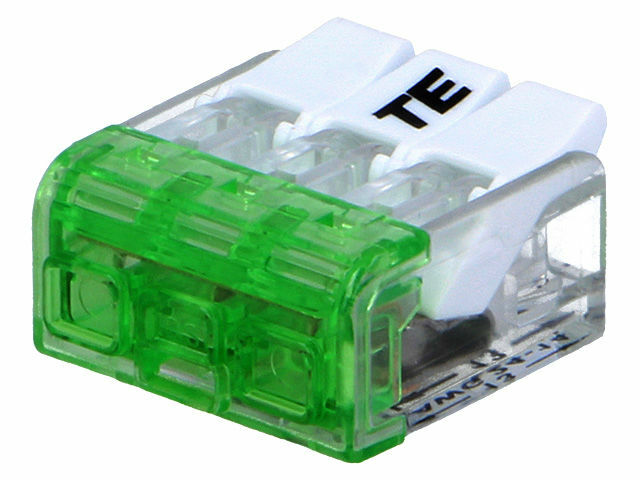 TME’s offer includes quick splices with levers manufactured by TE CONNECTIVITY. Their design allows to easily connect cables, even if they differ in their width (0.2-4mm2) and construction material (wire or strand). If necessary, the wires can be easily removed or replaced and the splice used once again. The transparent case enables the user to check the connection. The quick splices are equipped with a testing slot used for voltage testing. They are mainly applied in electric power systems, lighting and automation wiring.